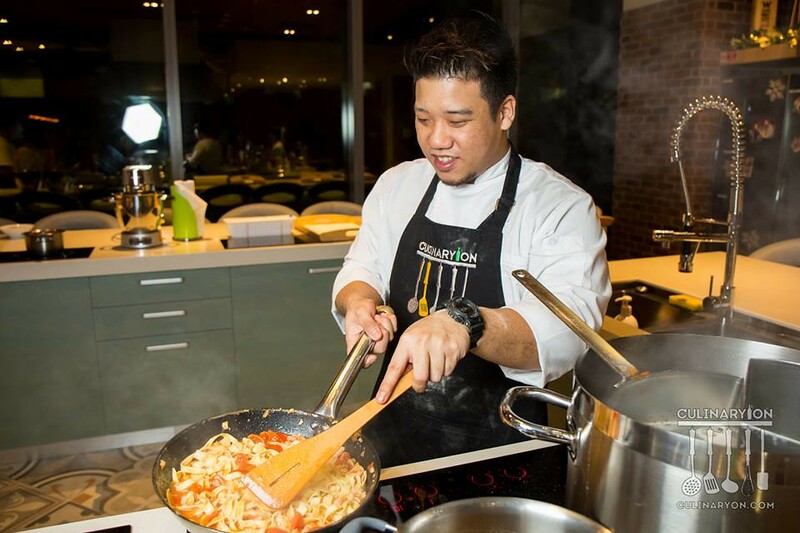 CulinaryOn is the modern day answer to Chef! 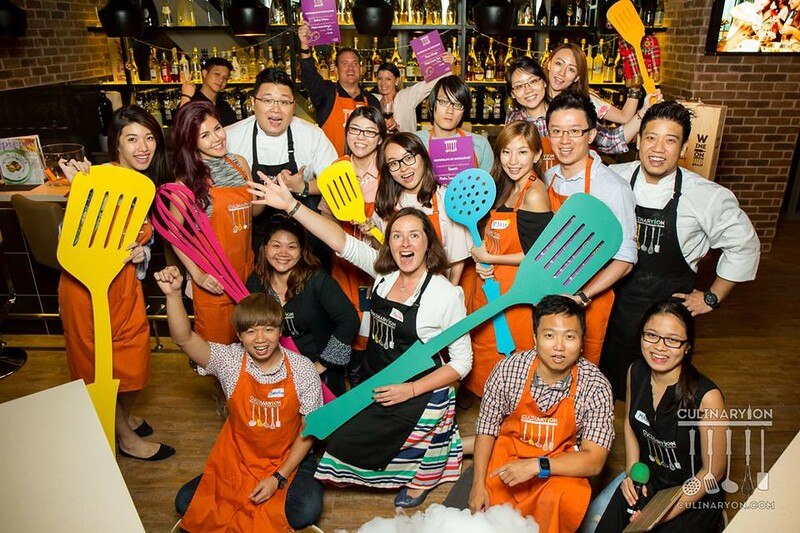 With Singapore being such a food paradise, Cooking studios and cooking classes are the new rage. 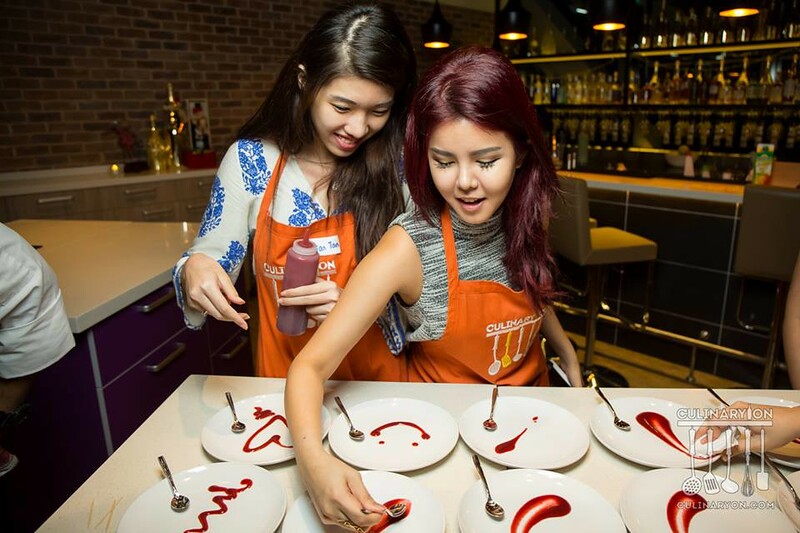 The cooking school incorporates fun into cooking so that beginners like us won’t feel too overwhelming and we get to learn how to prepare everything from scratch. 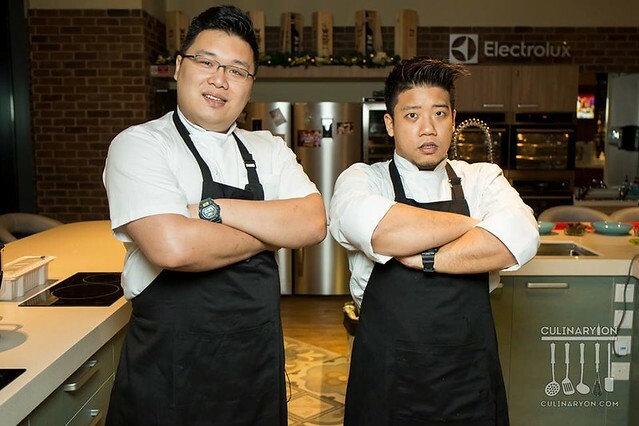 The chefs are humorous and they are willing to give us tips on how to prepare the food better. 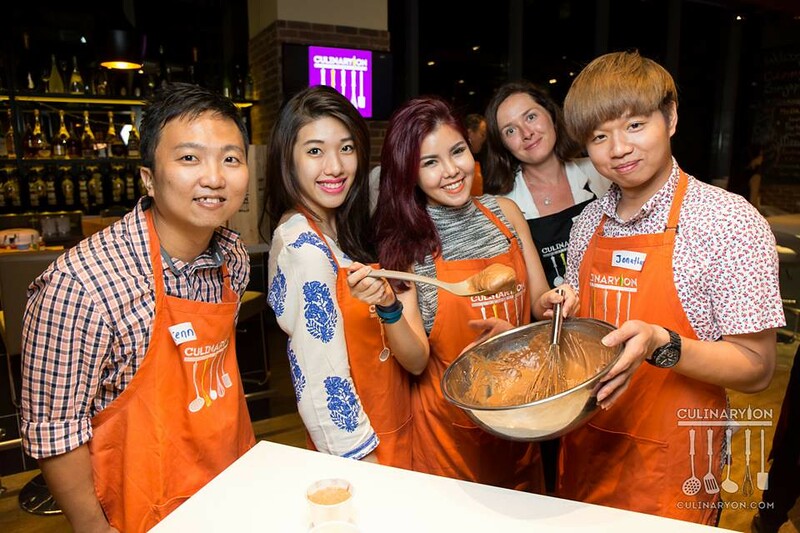 Located in Raffles Place, CulinaryOn is ideally located for all corporate events and parties. 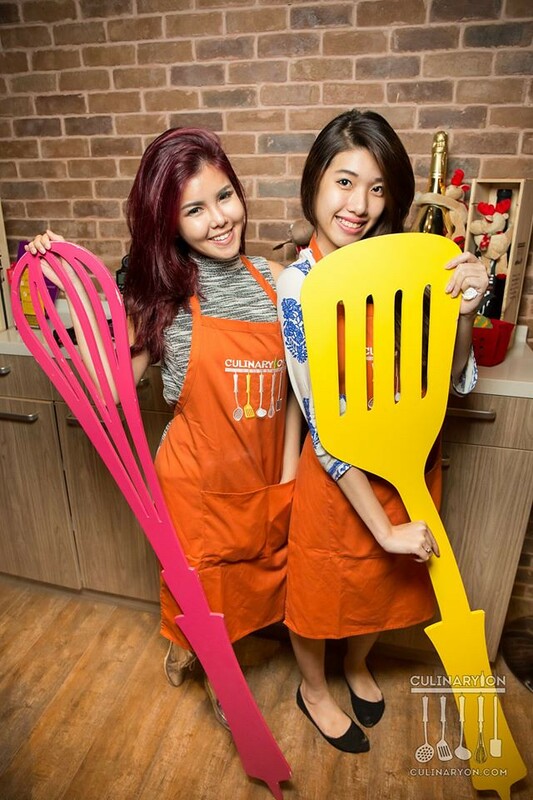 Staffed with professional chefs, this cooking studio is set to lift culinary standards at all your cooking parties. 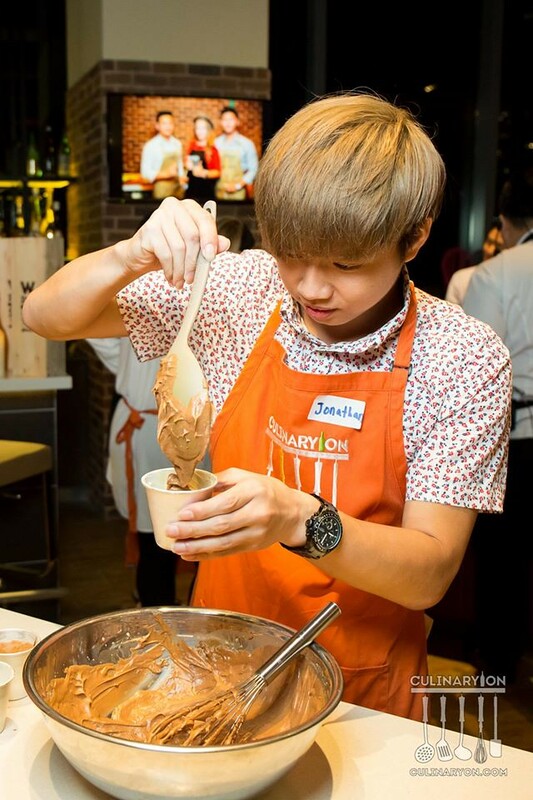 CULINARYON is the largest edutainment culinary studio in Asia and Europe. It is founded by Alex Blanc, Giulio D’Erme and Vera Sadovina. They believe that “Cooking is Fun and it’s for everyone”. 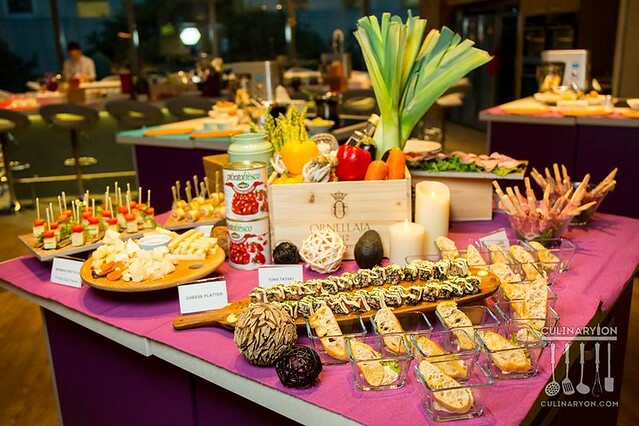 The 1st CULINARYON studio was opened in Moscow in 2012. Due to its great success, the 9,000 sq ft studio doubled in size and serves an average of 3,000 clients per month in over 130 events. 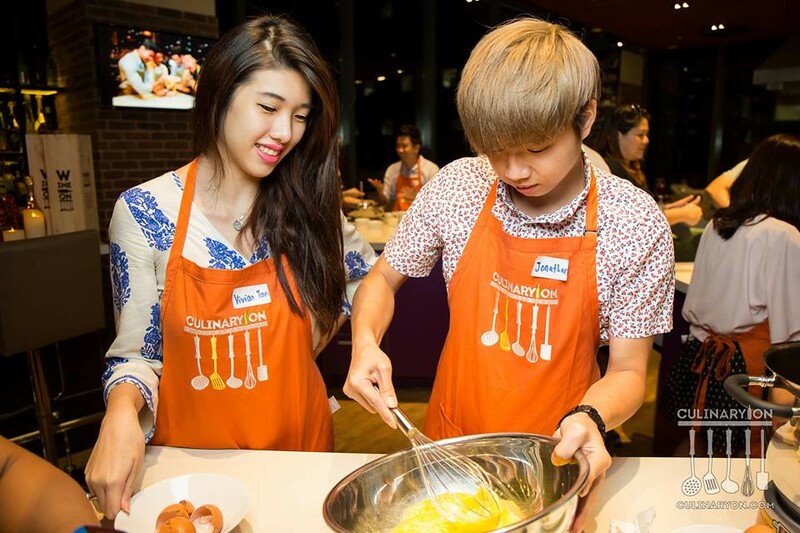 The 2nd CULINARYON studio was opened in Singapore in late 2015. The 7,000 sq ft is well equipped with conderence room, 4 event areas with 16 cooking stations, 4 chefs tables and well-stocked bars. The venue is also suitable for corporate events, team building sessions, parties and celebrations. 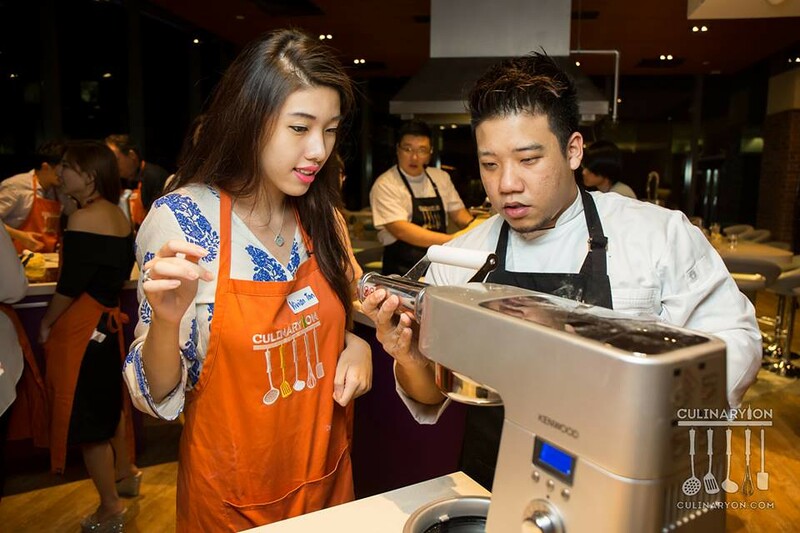 Each master class session is hosted by an executive chef, a sous chef, an event master, a bar man and a photographer. Under the attentive guidance of our experienced culinary team, participants will get to whip up three fabulous dishes in just three hours. We were welcomed with a table filled with food! For this media event, we were split into teams. We were given equal opportunity to make our own dish from scratch. As expected, everyone was so excited about it! 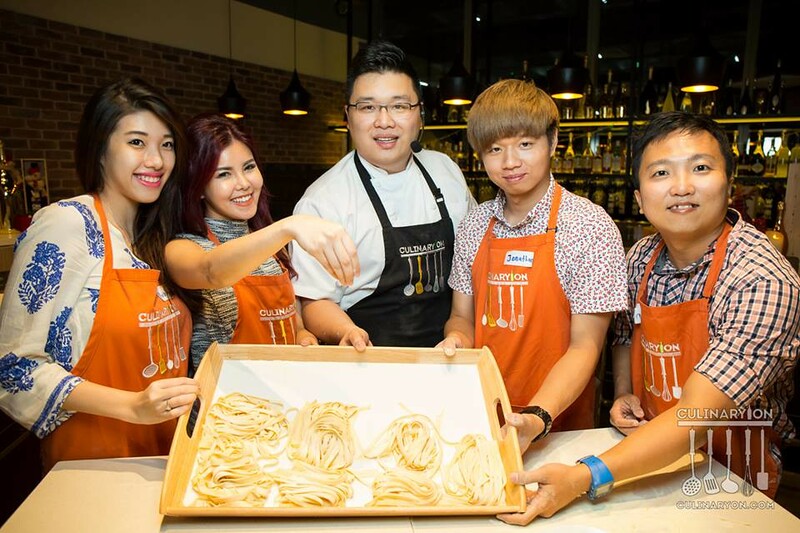 We were tasked to make Italian food, and we were ready to get our hands dirty. We were instructed on how to made our dough from scratch. 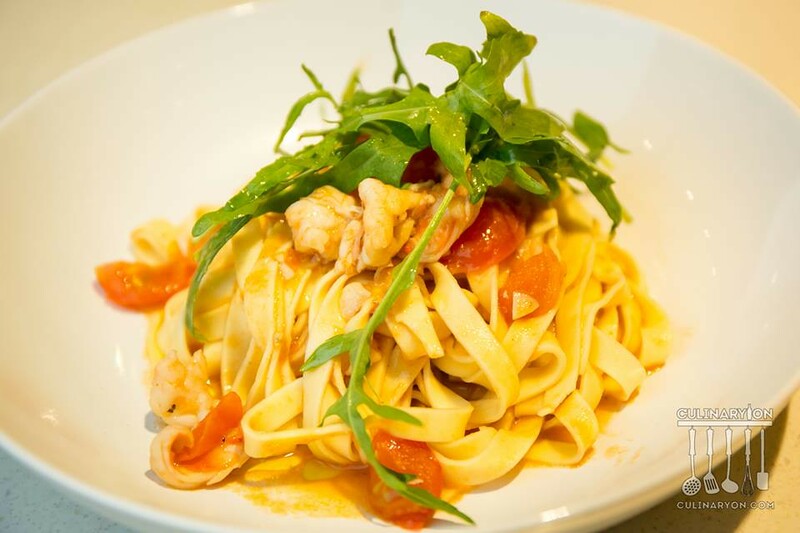 Personally, we have never made our own dough before, and whenever we cook our spaghetti at home, we are guilty of just boiling it from ready-made packs. Although kneading the dough proved to be tiring, the most fun part of the cooking process is team building; which we all played a part in it! Vivian is so serious!! Chef is instructing Vivian on how to used the cutting dough machine! We are done with the pasta!! Next up was the making of the pasta sauce and our lava cakes. The great thing about the class was that our chef was always clear in his instructions, and we were able to follow the chef at our own pace. The chefs and his assistant’s hilarious antics had guests laughing along too. For the final part, Chef and Peggy is cooking the pasta for all of us! And, it all ends with a rewarding plate of the meal you worked so hard for! BONUS: Chef surprised us with liquid nitrogen to make some ice cream to go with the chocolate lava cake we all waited oh-so-long for. 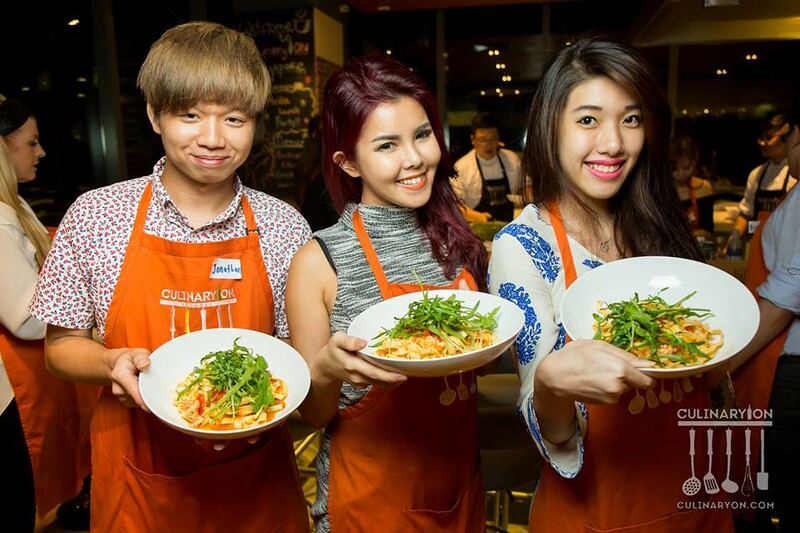 They have over 300 dishes and 30 ready theme sets from all over the world to choose from! So, whether you are planning for a company team building, a hen’s night or a birthday party, there is bound to be one just for you. It would not just be the food, of course. They will go all out (depending on your budget), amping up the festivities with decorations and mini-events to keep the party going on all the way. They also have classes for couples or a small group of friends who can join in on the fun. Thanks to Juicebits, Absolute PR, and CULINARYON for this privileged invitation! I really enjoyed the whole cooking journey! Are you convinced? If not, why not give it a try yourself and book a class with them here. 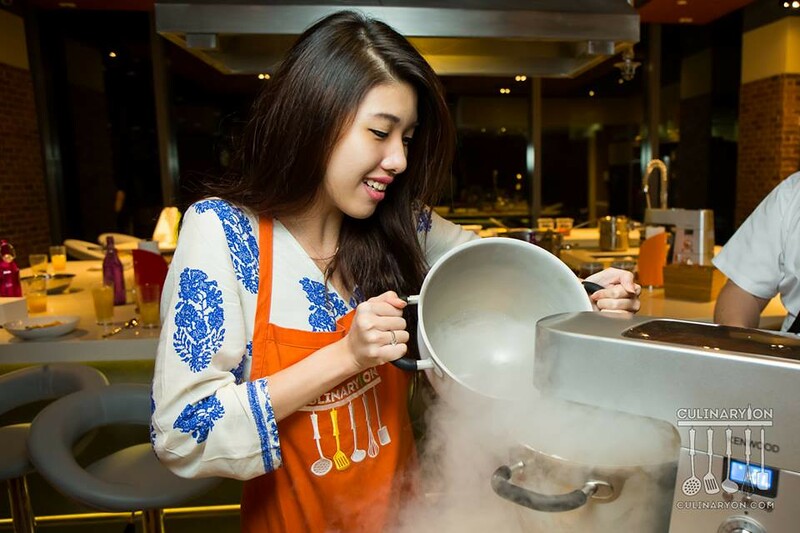 CULINARYON is located at One Raffles Place, Tower 2, Level 4 (5 mins walk from Raffles MRT Exit B). They are opened from Monday to Sunday 11:00AM to 09:00PM and can be contacted at +65 3108 3085.